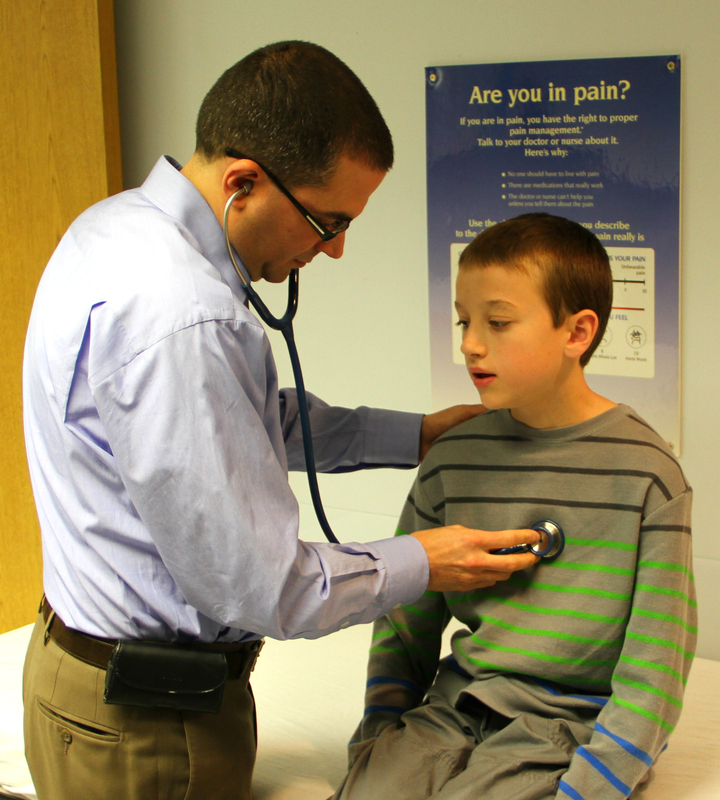 DENVER, CO – At National Jewish Health in Denver, doctors are testing an approach to treating food allergies, in which they actually expose children to the foods that usually make them sick. 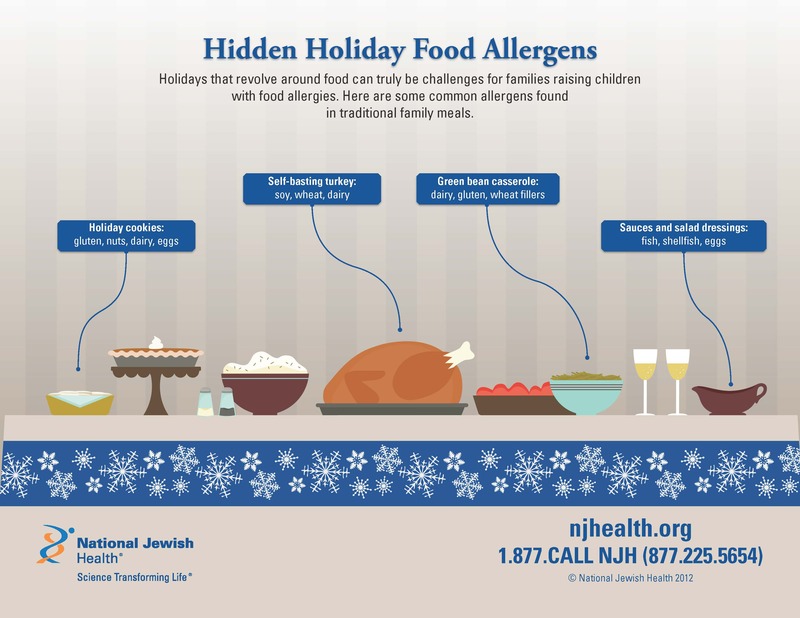 “The basic premise to our approach, is that we’re trying to gradually increase the amount of food patients can tolerate, until they no longer have to fear an allergic reaction,” said David Fleischer, MD, a food allergy expert at National Jewish Health. 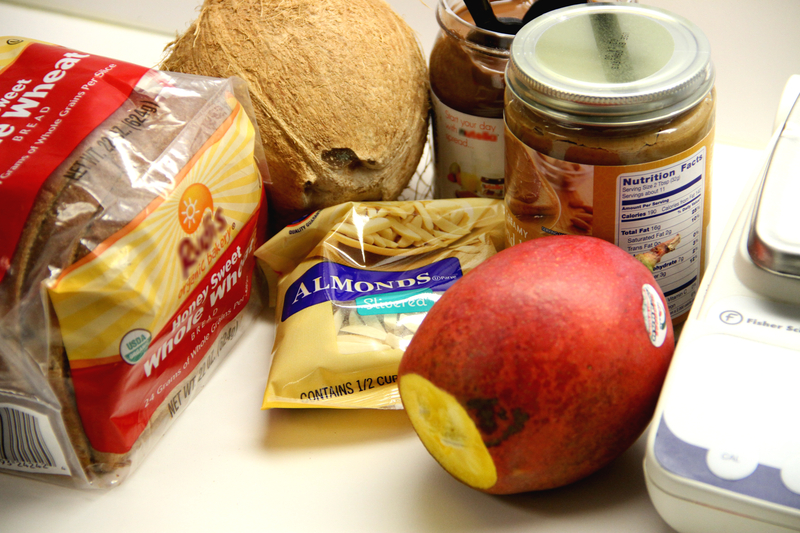 “Right now, there is no treatment for food allergies. The only treatment is to avoid foods, but we are working to change that,” he said. 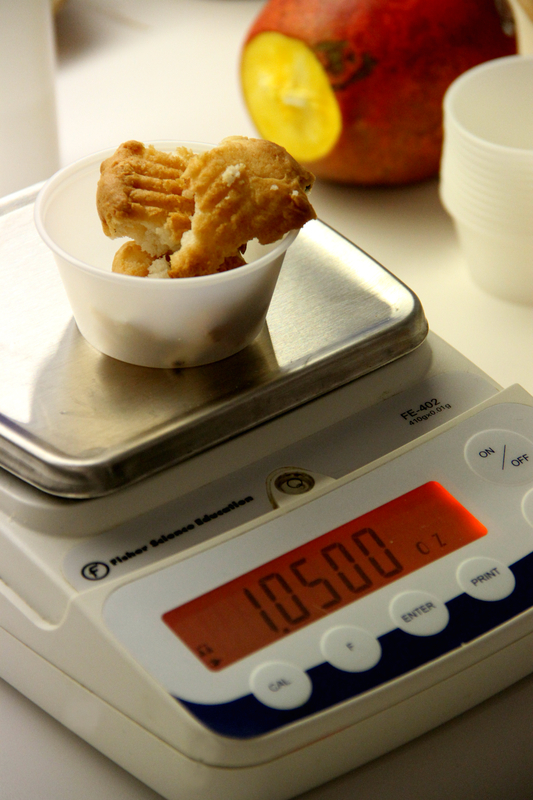 First, patients here are put through a test that was developed at National Jewish Health, known as a “food challenge” in which children are given small portions of certain foods. 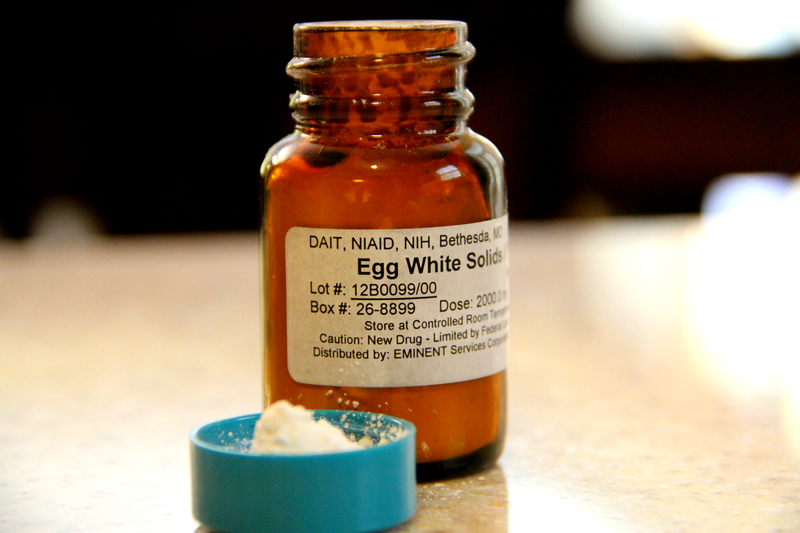 “We start very slowly,” said Dr. Fleischer, “only giving them a gram or two at a time. In doing that, it not only allows us to pinpoint the foods they’re allergic to, but it lets us know exactly how much they can tolerate before showing signs of a reaction,” he said. Armed with that knowledge, doctors then send the children home with drops or powders containing proteins from the foods to which they reacted. 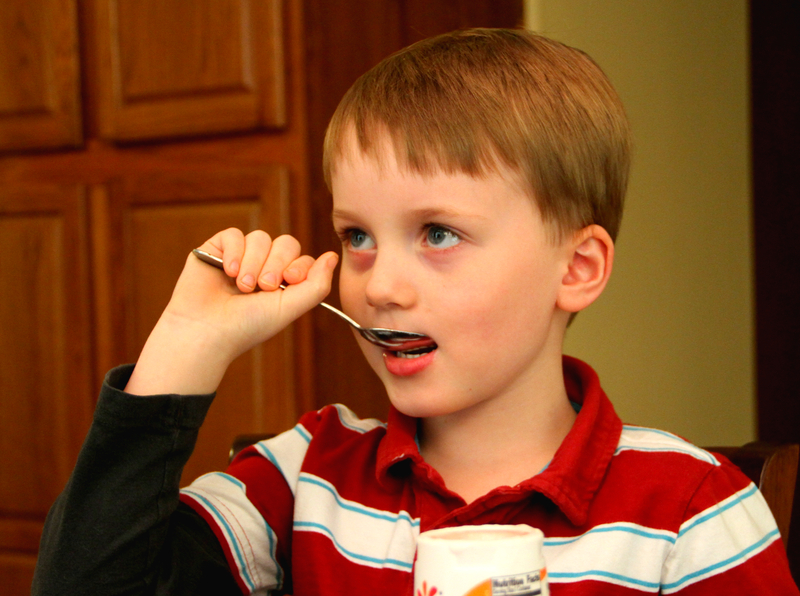 Then, dose by dose, day after day, children consume those proteins in an effort to retrain their immune system, so they no longer react to the food. 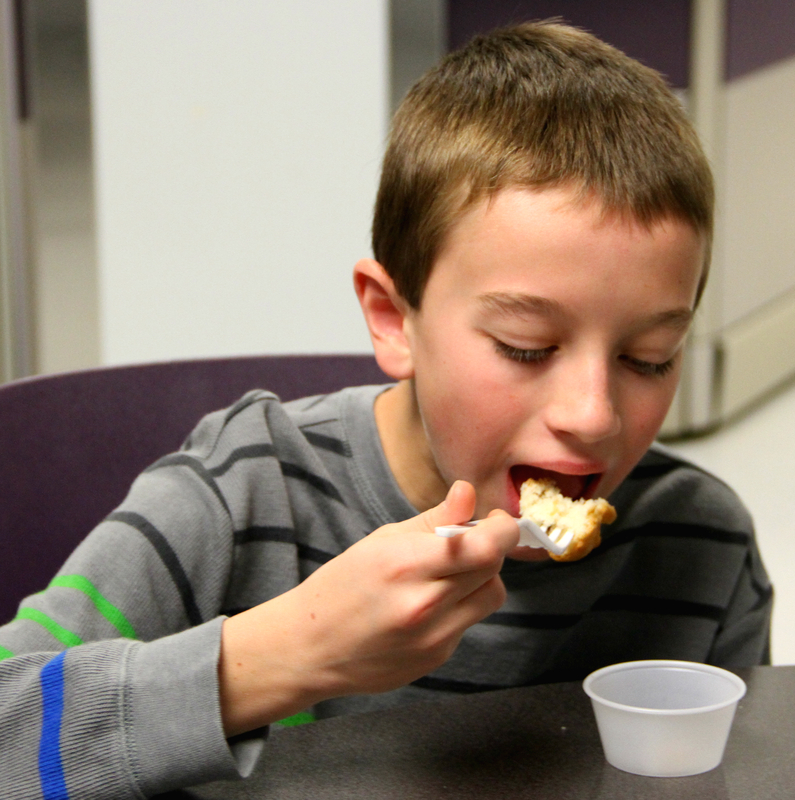 “Eventually, some patients develop a tolerance for the very foods they’ve been avoiding for years,” said Dr. Fleischer. “Eggs are in everything,” said Pritchard. 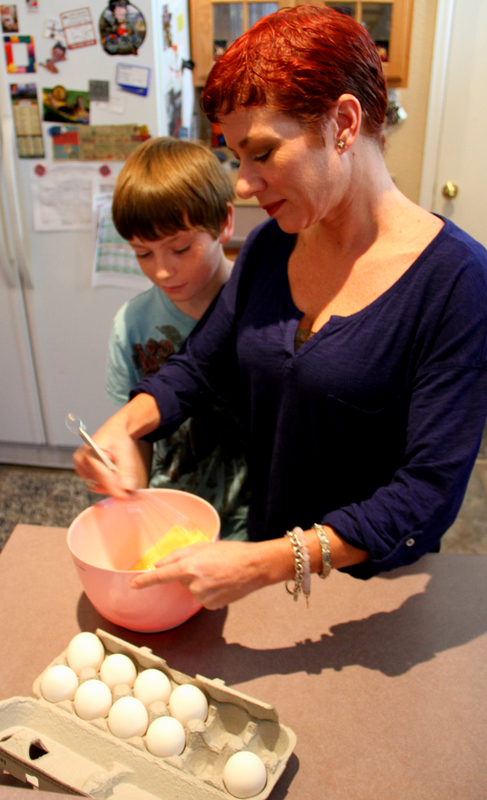 “From flu shots to meatballs, because you use egg as a binder when you cook and when you bake,” she said. 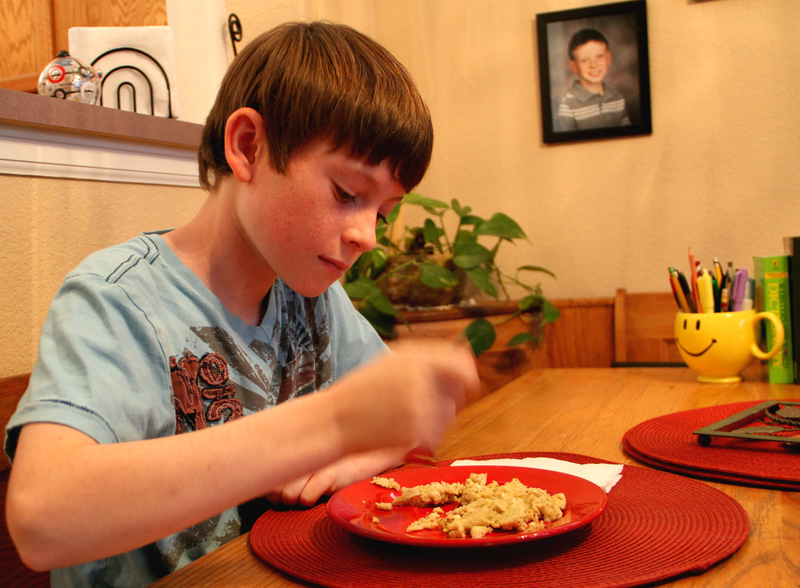 Because of that, Alex spent the first few years of his life avoiding a variety of foods. 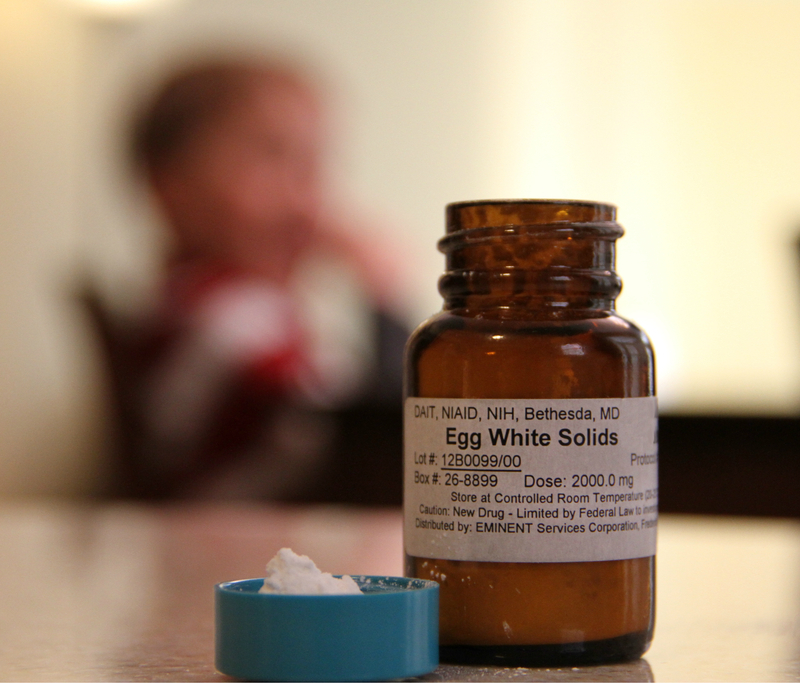 But when he went to National Jewish Health for treatment, eggs were one of the first items on the menu. 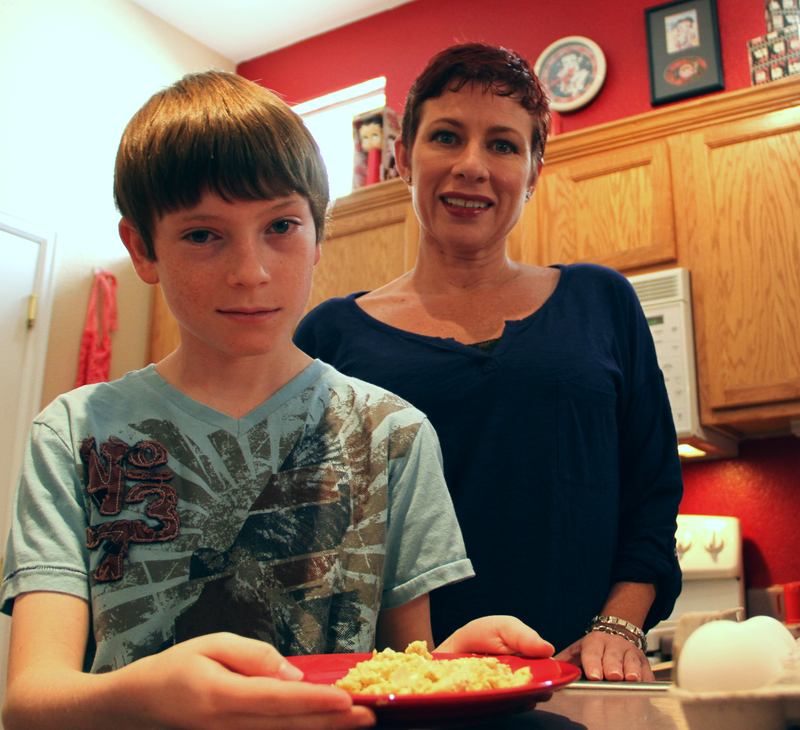 “Here’s a boy who was egg allergic, and he’s now able to eat as much eggs as he wants,” said Dr. Fleischer. “It took a while to get him to that point, but his life has completely changed, to the point where he doesn’t have to worry about that allergen anymore,” he said. Today, Alex is not only eating foods that contain egg, but he recently sat down to a plate full of scrambled eggs in his Denver area home, trying to contain a smile with each bite he took. “Delicious,” he said.